There were some good Canadian Q words/things. Quebec and Queen came to mind. Then someone suggested Quinte and I had to write about it. Do you have that place that you always remember as a place that represents youth and adulthood at the same time? The Bay of Quinte Region is that place for me. Growing up in Kingston, Ontario, The Bay of Quinte was about 45 minutes away from our hometown. 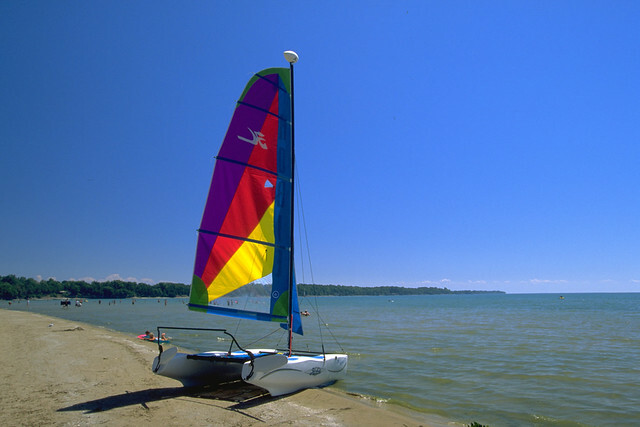 The bay itself is a zig-zaggy bay and the region hosts great Walleye fishing, wineries, golfing and sand beaches. In Canada, having sand beaches nearby is something not to be taken advantage of. Basically it was our version of living by the sea! So where would we go on weekends, or on Fridays during the last couple of weeks of high-school (Shhhhh)? Specifically – Picton Beach! And the best way to go was along the lake, taking the ferry over. What an experience! Picton Beach is actually Sandbanks Provincial Park, but we call it Picton Beach. 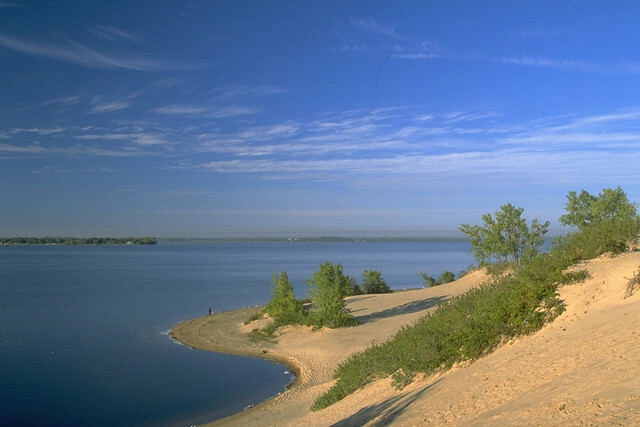 The park hosts the world’s largest baymouth barrier dune formation – 10,000 years in the making – created when the massive Lake Iroquois receded, at the end of the last ice age leaving the puddle called Lake Ontario. The sand from the larger lake blew up, creating the dunes that rise almost 200 feet from the lake and stretch for 12 kilometres!